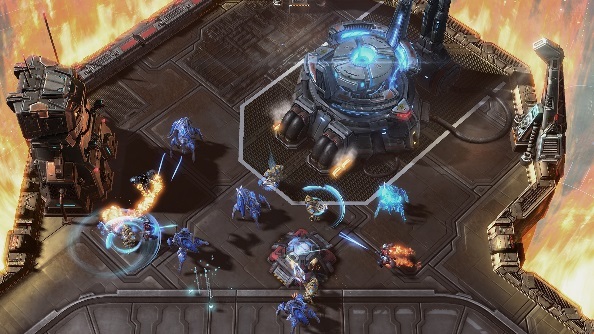 StarCraft 2’s highly competitive online multiplayer has long been infested by hackers performing nefarious cheat moves. They do so with the aid of external hacking programs that help them do things in-game that would typically be impossible, leading to very unfair wins. If you’ve ever been victim to this, worry not for the future: the Legacy of the Void 3.0 update completely breaks external maphacks, putting hackers out of business. Looking to pull together some tactics? Try one of the best stratergy games on PC. “Updating for the LotV client isn’t like most patches where it’s mainly about finding the new offsets for previous structures. They’ve completely replaced a lot of code and have apparently put quite a lot of effort into breaking the functionality of existing external hacks. It goes on to say that some hack developers have given up on creating, while other are trying to find new ways to subvert StarCraft 2’s system. The change will be joyous news to all law-abiding StarCraft 2 players the world over. Nobody likes a cheat, and playing against one just ruins the game. Sometimes Blizzard come under a bit of flak for not addressing cheats quickly enough, but this massive change to StarCraft 2 seems a strong effort to stamp out hackers for good.